Performing any sort of baroque music on modern instruments involves an element of transcription. instruments have changed so much, or disappeared altogether - who plays the arpeggione now? 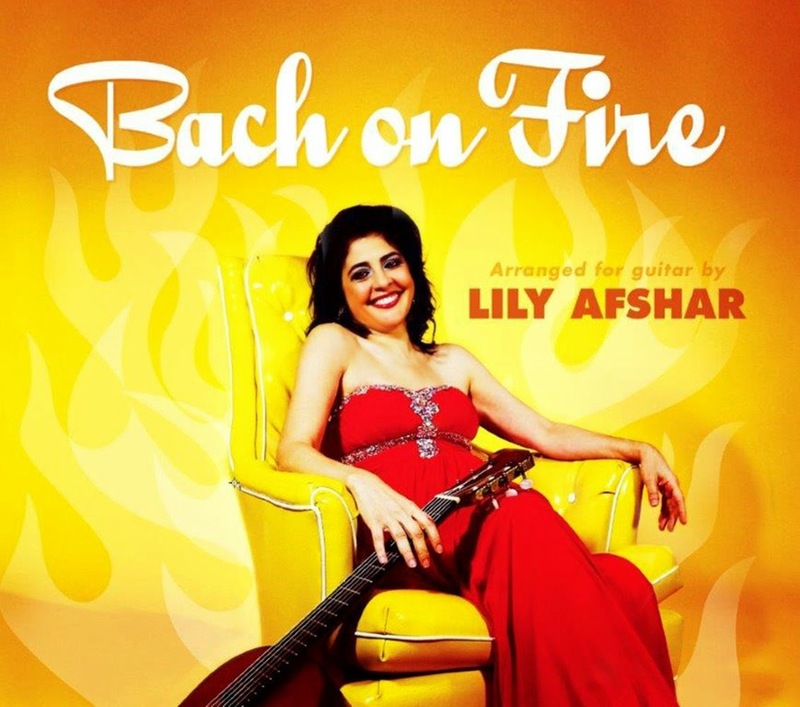 On this new disc guitarist Lily Afshar has made a virtue of necessity and made new transcriptions for the guitar of a number of Bach works. She includes Bach's Lute Suite No. 4 in E major BWV 1006a, but also the Cello Suite No. 1 BWV 1007, Cello Suite No. 3 BWV 1009 and the Prelude, Allegro and Fugue BWV 998. In fact Bach was a great transcriber himself and the Lute Suite No. 4 started out as the Partita No. 3 BWV 1006 for solo violin. Transcription and re-use runs through the whole of Bach's career. Some works, such as the harpsichord concertos, we know only in the later transcriptions, the originals having been lost. And before you worry about moving a cello part to a guitar, just think about transcribing a work for violin and oboe for two harpsichords (the Concerto for two harpsichords in C minor BWV1060 started out as a concerto for violin and oboe). 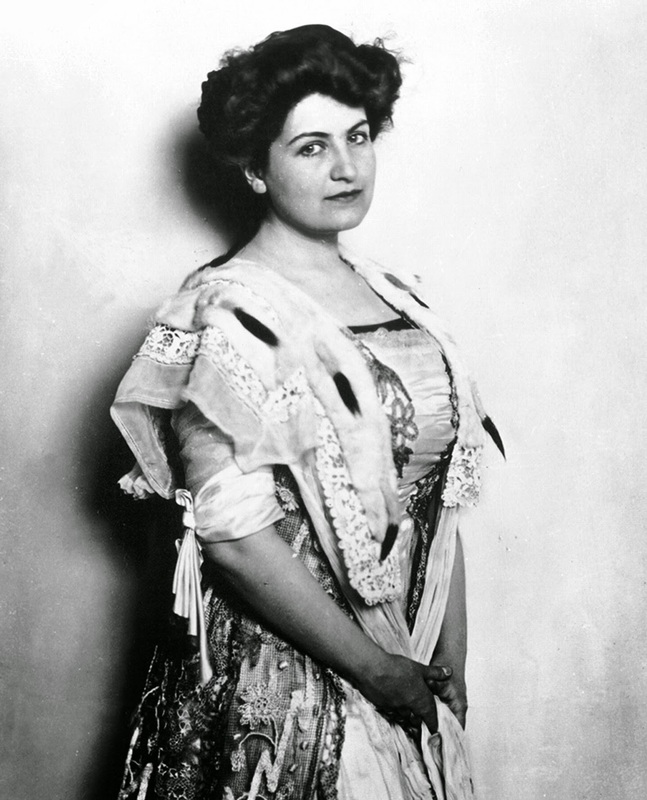 I first came across Alma Mahler thanks to Tom Lehrer's song about her - Her lovers were many and varied, From the day she began her beguine, There were three famous ones whom she married, And God knows how many between'. (You can hear Lehrer performing it on YouTube). Notorious for marrying Mahler, Walter Gropius and Franz Werfel (first a composer, then an architect and then a writer). A composer herself, she gave it up during her marriage to Mahler, but continued inspiring her husbands. But if you look at photos of her or film footage taken in the 1950's you do being to wonder as she looks like a rather forbidding matriarch. The Aspect Foundation is devoting the first of its Autumn series of music in context to Alma, with Alma Mahler: Muse or Monster? at the 20th century Theatre in Notting Hill on 1 October 2014. The evening will include music by Alma and Gustav Mahler, Zemlinsky and Korngold performed by Olivia Ray (mezzo-soprano), Ania Safonova (violin), Aleg Kogan (cello) and Ronan O'Hora (piano), plus an illustrated talk by Patrick Bade. Running a music and arts festival anywhere is hard work. But it would seem to be a thankless task to do so in an area where your potential audience has the delights of central London just a train-ride way. 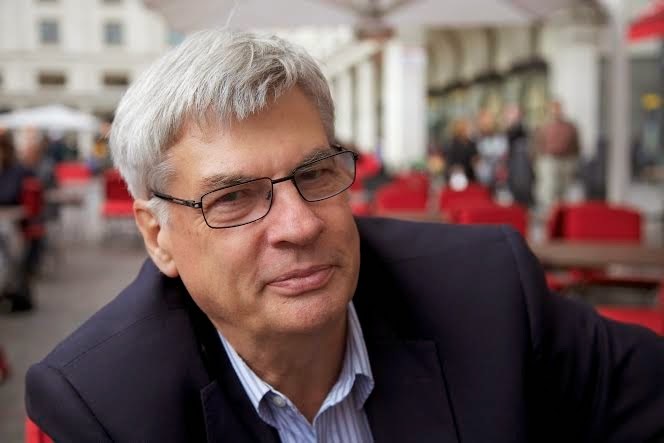 But Anthony Wilkinson, founder of the Wimbledon International Music Festival, seems to warm to his task with enthusiasm, even though this year is the sixth Festival (running from 8 – 23 November 2014). In conversation, Anthony admits there are problems, mainly the perennial ones of finance, but our talk quickly diverges into his passion for people, plans and projects. It is clear also that what keeps him going is the genuinely enthusiastic response to the festival from local residents. Not only the gratifyingly high number of positive letters he receives after the festival, but the response people have to individual concerts. The festival is very much a personal one, and Anthony does not programme anything or anyone for whom he doesn't have enthusiasm. This means that the more obscure and lesser known means as much to him as the well known. He clearly enjoys the feeling that the Wimbledon Festival is a place where people might come to a concert and have their lives changed. 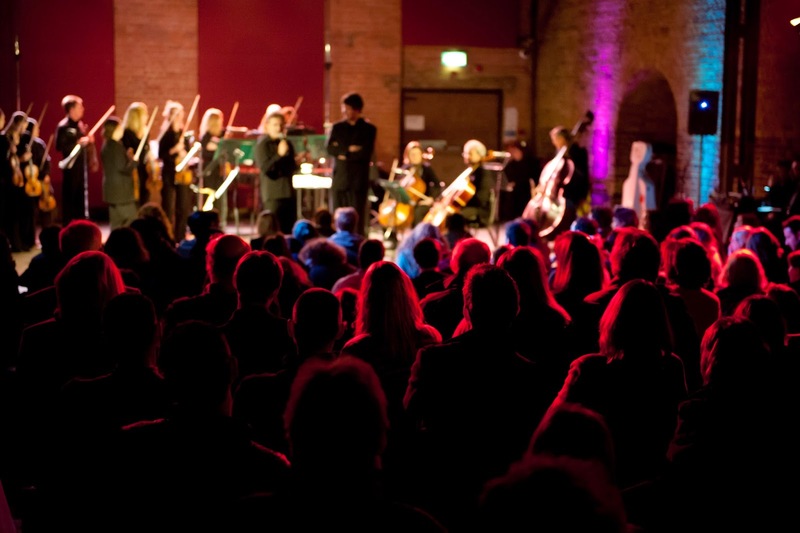 Wimbledon International Music Festival (WIMF) is a local festival that thinks big. Anthony is not frightened of programming major artists, this year includes Wolfgang Holzmair in Schubert's Die Winterreise and The Sixteen. But Anthony also brings smaller, quirkier programmes as well, such as violist Lawrence Power in Bax, and the Musicians of the Globe in 17th century broad-sheet ballads (a programme that he later refers to as Death by Custard!). 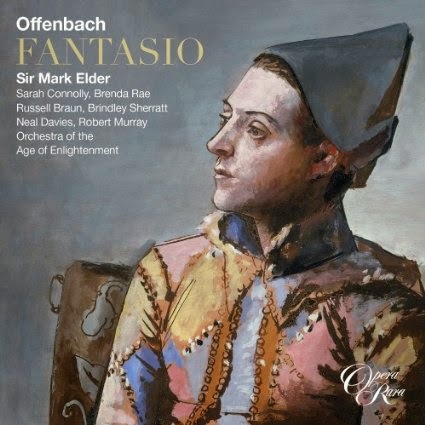 Offenbach's Fantasio can be seen as something of a missing link, coming as it does between his two romantic operas, Die Rheinnixen (1864) and Les Contes d'Hoffmann (1880). The opera has also been something of a missing link as regards its score and parts as following the work's lack of success at its 1872 premiere there has been no definitive edition and this new Opera Rara recording is based on a new edition by Jean-Christophe Keck which has required quite some detective work. Fantasio is based on a play by Alfred de Musset and, written in 1872 after the Franco-Prussian war, it is a long way from the sparky operattas Offenbach is best known for. Whilst not a romantic opera, it is far closer to what the French public of the 19th century would have understood as an opera comique, with spoken dialogue and a mixture of the serious and the comic. On this disc the title role is sung by Sarah Connolly, with Brenda Rae as Elsbeth, Brindley Sherratt as the King, Russell Braun as the Prince of Mantua, Robert Murray as Marinoni, Neal Davies as Sparck, Victoria Simmonds as Flamel, Aled Hall as Facio, Gavan Ring as Hartmann, Michael Burke as a penitent and Robert Anthony Gardiner as Max with Mark Elder conducting the Orchestra of the Age of Enlightenment. 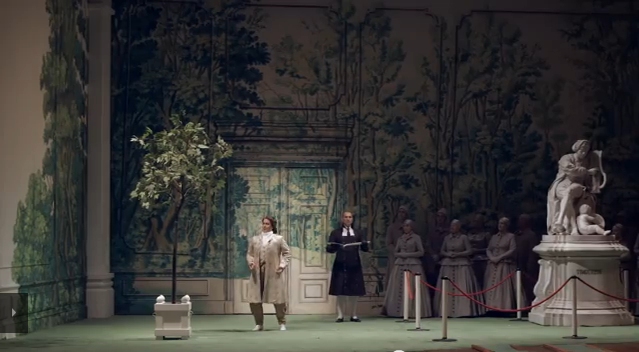 Fantasio is, I think, a fragile work with a mixture of comedy and moonlit romance which might go badly wrong on stage. 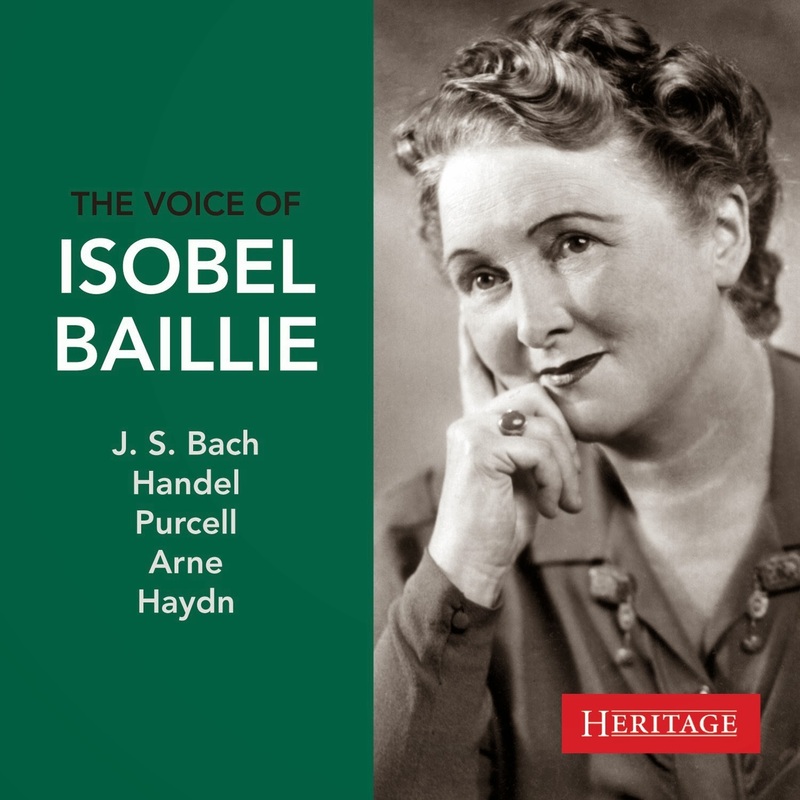 Here, recorded after concert performances (read Hilary's review of the concert on this blog), it is given with idiomatic dialogue and a secure feel for the style. The comic moments are comic and the romantic bits are romantic, the whole has an attractive feeling of sympathetic understanding from Mark Elder and all involved. 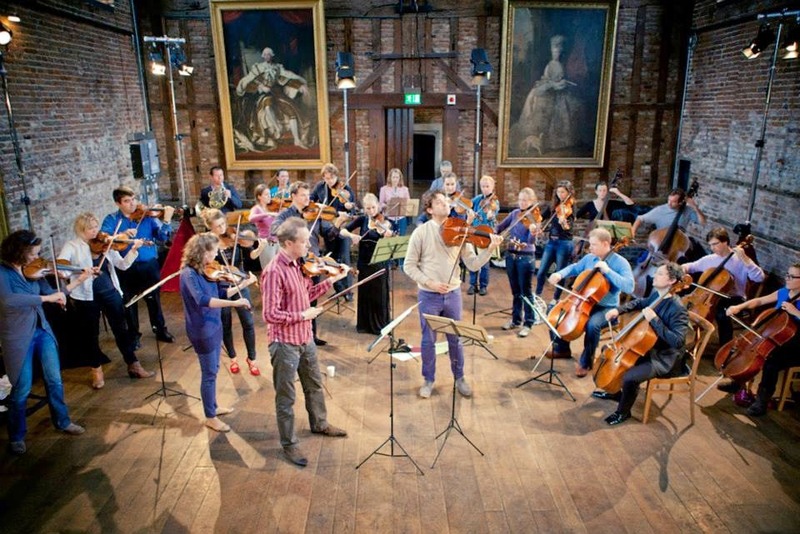 The Hatfield House Chamber Music Festival opened on Thursday 25 September with a concert from the Sixteen and cellist Guy Johnston (artistic director of the festival), but the concert of chamber music proper was on Friday 26 September 2014 when the Navarra Quartet, members of Johnston's Aronowitz Ensemble, Hugo Ticciati, Goran Frost and Adi Tal gave us a programme of Stravinsky's Three Pieces for String Quartet, Erich Wolfgang Korngold's Sextet Op.10 and Schubert's Death and the Maiden Quartet. All played in the attractive acoustic of the Old Hall at Hatfield House. The first half of the concert was originally meant to be performed by Johnston's Aronowitz Ensemble, but pregnancy in two members meant that they were joined by Hugo Ticciati (violin), Goran Frost (viola) and Adi Tal (cello). Ticciati, Frost, Tal, and Tom Hankey opened proceedings with Igor Stravinsky's Three Pieces for String Quartet. Written in 1914 as a relaxation from working on the big ballets for Diaghilev, they started out as music for piano duet (as did the ballets), and were later orchestrated. Each movement is highly coloured and characteristic, and very dissonant. The first movement started with drone on the viola (a minor ninth, C sharp and D) over which we had Stravinsky in demented folk-music mode; a Russian folk tale vividly re-created and vibrantly played with wonderful attack. The middle movement was inspired by the music hall artiste Little Tich (famous for his Big-Boot Dance performed in boots with 28 inch long soles!). This is less unlikely than it might see as each time Diaghilev and Nijinsky visited London they went to see Little Tich. Stravinsky's music was made of disconcerting fragments, sliding glissandi, pizzicato and outbursts of violence which the players welded into an evocative whole. The final movement was an exploration of quiet, with hushed intense chords. 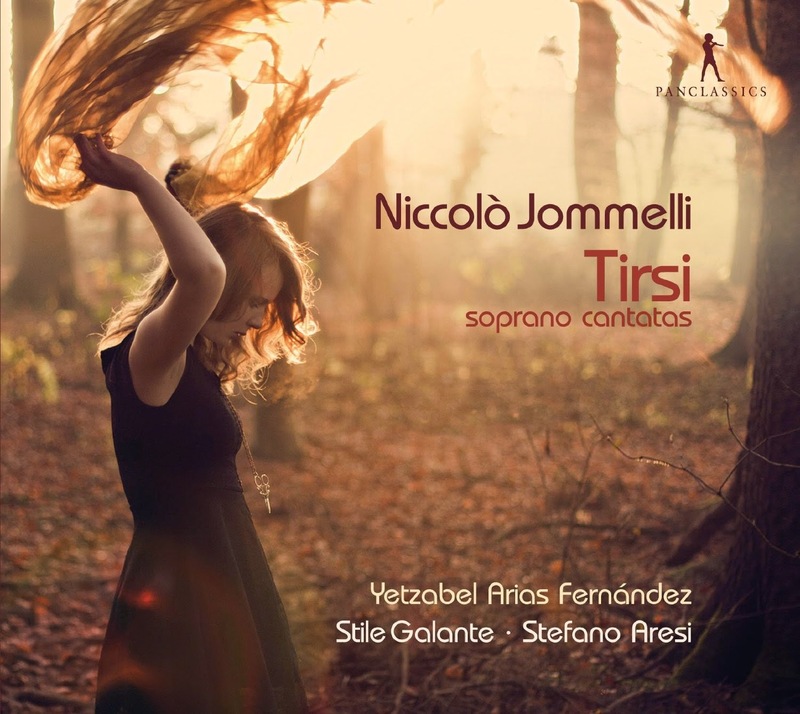 Dissonant yes, but richly expressive with Stravinsky exploring harmony rather than melody. 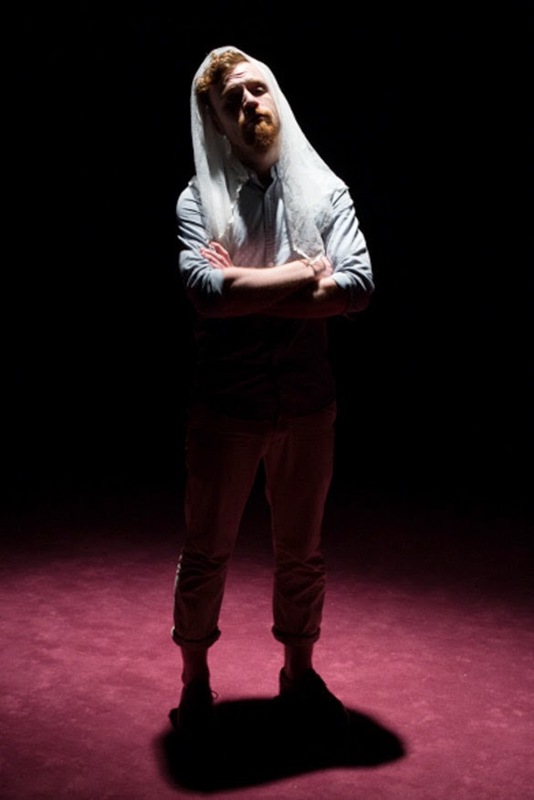 It received an austere and wonderfully intense performance. Medtner's vividly romantic sonata at the centre of a lovely lunchtime recital. British violinist Chloe Hanslip and Russian pianist Igor Tchetuev have won plaudits recently for their disc of Medtner violin sonatas, so I ent along with interest to their recital at the Wigmore Hall on Thursday 25 September 2014, which launched the 2014/15 season of lunchtime showcase recitals from Lisa Peacock Concert Management. Hanslip and Tchetuev play Schnittke's Suit in Old Style, Medtner's Violin Sonata No. 1 in B minor Op 21 and Beethoven's violin Sonata No. 1 in D major Op.12 No.1. 'We don't do 'glum' here' pronounces pioneering plastic surgeon Dr Harold Gillies, when coming up against the despondency of his World War One casualties, during the long process of his striving to patch up their faces damaged at the Front, at the disastrously badly planned Battle of Loos 1915, using new 'reconstruction' techniques, at the Queens Hospital, Sidcup. What is more disguised as his 'alter ego' Dr Scroggy, complete with tartan. kilt, and supplies of the occasional wee dram of 'the real stuff', to lift their spirits in more ways than one, Gillies makes fleeting nightly visits to the wards, dodging the wary eye of the ever vigilant austere, starched uniformed young nurses. 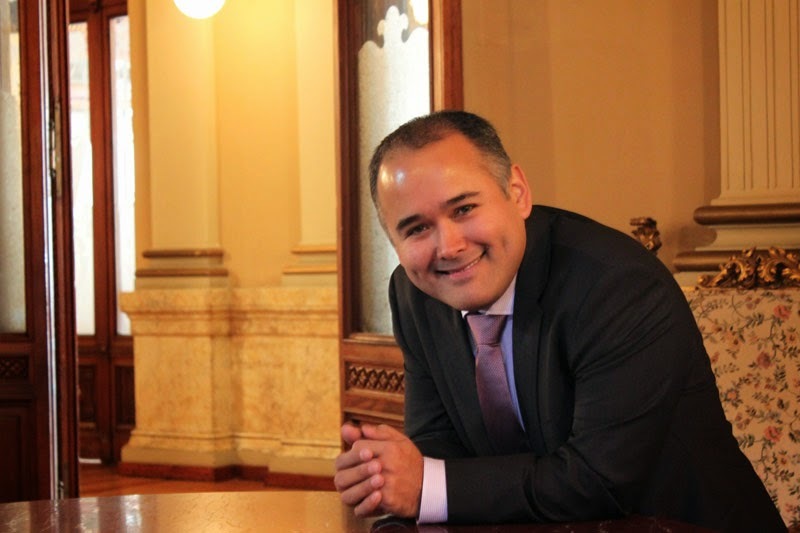 The Australian Chamber Orchestra, directed by violinist Richard Tognetti, is doing a European tour combining music by Mozart and Haydn with Webern's Five Movements for Strings and the world premiere of Jonny Greenwood's Water. The tour starts at the Concertgebouw, Amsterdam (28/9) with concerts in Dublin (2/10), at London's South Bank (4/10), Symphony Hall Birmingham (5/10), Luxembourg (7/10), Frankfurt (8/10), Cologne (9/10) and Vienna (11, 12/10). That's quite some travelling! 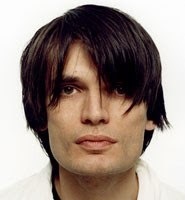 Jonny Greenwood (born 1971) is perhaps best known as the guitarist with Radiohead, but he has other strings to his bow including as a keyboard performer and composer; he has been composer in residence with the BBC Concert Orchestra since 2004 (see Hilary's review of Greenwood and the orchestra's concert at the Barbican in May). His new piece Water arose out of his interest in the tambura, a lute-like instrument from South Asia. Greenwood describes it as producing 'an enormously complex sound', one which he got obsessed with and he wished to write music which flowed out of the sounds he heard. He travelled to Sydney where he joined the orchestra in workshop sessions to test out ideas for the piece. In fact he stayed three months and played with the orchestra at one of their Underground concerts. 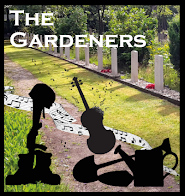 The new work is written for strings, piano and tambura with Steven Osborne playing the piano. 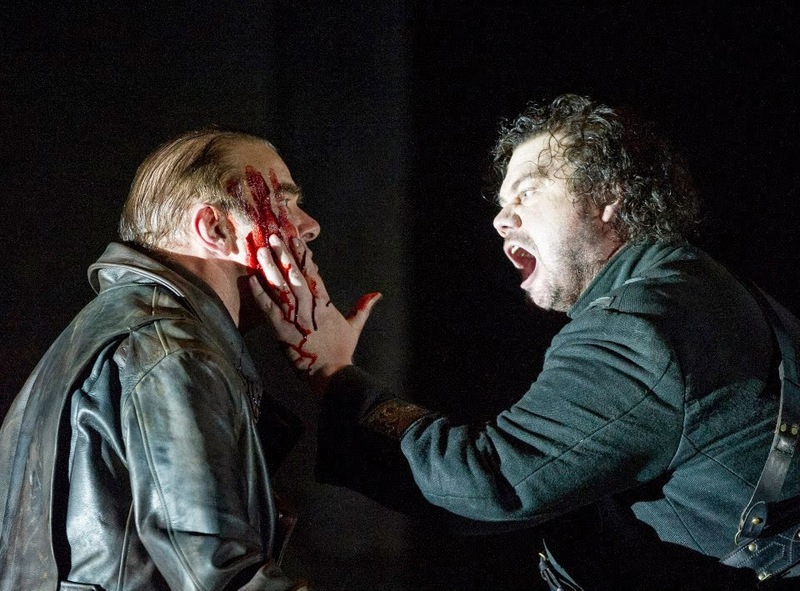 David Alden's new production of Verdi's Otello at the London Coliseum, I caught up the the production on 19 September. Things opened in promising manner, with a town populace assembled in a public space by the main gate (a Mediterranean island circa 1920, probably). Jon Morrell's distressed yet massive set, Adam Silverman's dramatic lighting and Alden's massing of the chorus seemed highly promising. English National Opera has assembled a very strong team for the production with Stuart Skelton singing his first Otello, Leah Crocetto as Desdemona, veteran baritone Jonathan Summers as Iago, Allan Clayton as Cassio, Peter Van Hulle as Roderigo, Pamela Helen Stephen as Emilia and Barnaby Rea as Lodovico. Conducting his first Otello was Edward Gardner. So far so impressive, but this is Alden-land and not the naturalistic operatic world and even working with a naturalistic setting Alden pushes the expressionist nature of the staging. The same set is used for the whole opera, dressed with stray bits of furniture at times but the final act is on a bare stage with just a single chair. Inevitably there is a lot of wall hugging, but that is to be expected in Alden-land, and the opening act is just as fervidly neurotic as the rest rather than allowing a slow build. As a change from the formal concert venue I ventured out to Rich Mix in the East End of London. Here Emma Dogliani and friends Kate Conway and Philip Voldman performed a selection of songs from the opera, and other greatest hits, to a packed and appreciative audience. The group, who call themselves 'three4', turned the main bar of Rich Mix into a relaxed parlour cabaret with sofas, tables and chairs, so that they could interact with the audience, walk amongst them, and hand out ice creams(!). In the two half hour slots the trio tackled serious arias from George Frideric Handel's (1685-1759) 'Alcina' and Wolfgang Amadeus Mozart's (1756-1791) 'La Clemenza di Tito' (which she will be singing later this year with Midsummer Opera) but balanced them against ''O sole mio' (hence the ice cream) by Giovanni Capurro (1859-1920) and Eduardo di Capua (1865-1917), and 'Funiculì, Funiculà' (in Neapolitan then English for audience participation) by Peppino Turco (1846-1903) and Luigi Denza (1846-1922). For the most part the violin (Conway) provided the tune or counter tune to soprano (Dogliani), with Voldman on keyboard filling in for the rest of the orchestra. 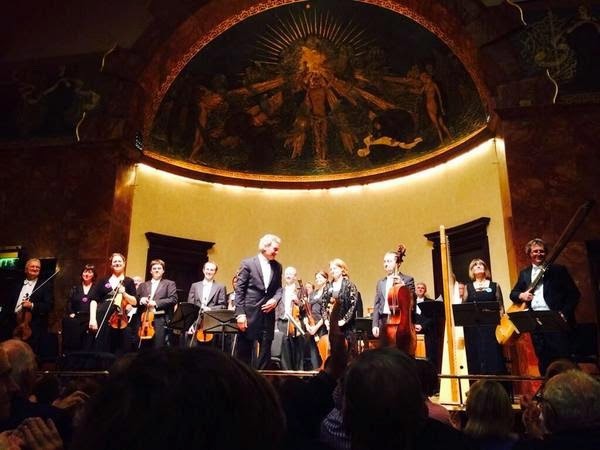 The 15th season of Rosenblatt Recitals opened at the Wigmore Hall on 23 September 2014 with something of a change of plan. The scheduled tenor, Stephen Costello, was ill and at short notice the Mexican lyric tenor Javier Camarena flew over from Zurich to make his UK debut. Camarena and pianist Enrico Maria Cacciari performed a programme of arias by Mozart, Bellini, Rossini, Gounod and Donizetti with songs by Crescenzo, Tosti, Gastaldon, Sorozabal, Guastavino, Grever and Lara. The arias included items from Mozart's Die Entfuhrung aus dem Serail, Bellini's I Capuleti e i Montecchi, Rossini's La Cenerentola, Gounod's Romeo et Juliette and Donizetti's La Fille du regiment. Camarena and Cacciari started with Belmonte's aria Ich baue ganz from Mozart's Die Entfuhrung aus dem Serail. Camarena sang with a lovely lyric tenor voice, displaying a fine depth of tone and evenness of production throughout the whole range. His passagework was wonderfully fluent with a nice clarity of phrasing. 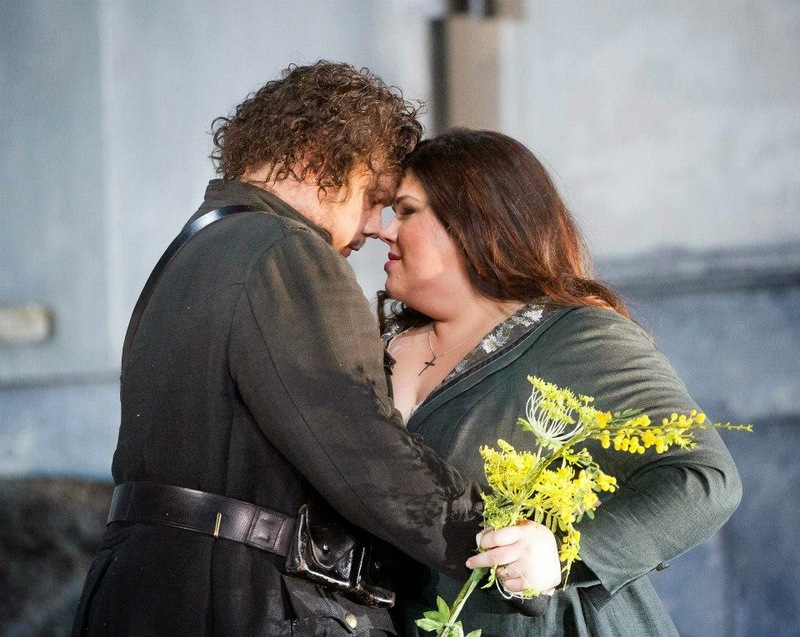 But in addition to great lyric beauty, Camarena brought a nice passion and intensity to his performance. The ENO has made a dramatic success of Verdi's penultimate opera 'Otello' - directed by David Alden and conducted by Edward Gardner. Starring Stuart Skelton, Leah Crocetto, and Jonathan Summers this production focuses on the malevolence of Iago leading to the inexorable fall of Otello and the tragic death of Desdemona. The ENO is committed to making opera accessible and in encouraging people to try out opera and find out for themselves what it is all about. A major part of this is translating all their performances into English, but most of their productions are also modern and innovative. The singing and acting are generally of such a high standard that they make the story plain without compromising the music, and there is little of the old fashioned kind of wallowing which put me off opera twenty years ago. But there is still the problem of persuading people who are prejudiced against opera that things have moved on. High prices for seats (unless you don't mind being in the gods, having a restricted view, or standing) - even though they are comparable to London musicals - is often blamed as being off putting. Here too the ENO are trying to change perceptions. The London Sketch Club was founded in 1898 as a social club for artists working in the field of commercial graphic art. The club is at 7 Dilke Street, SW3 4JE in Chelsea, where it has been since the 1950's. They are now branching out into music and there is a concert series in the studio, with some talented young performers. 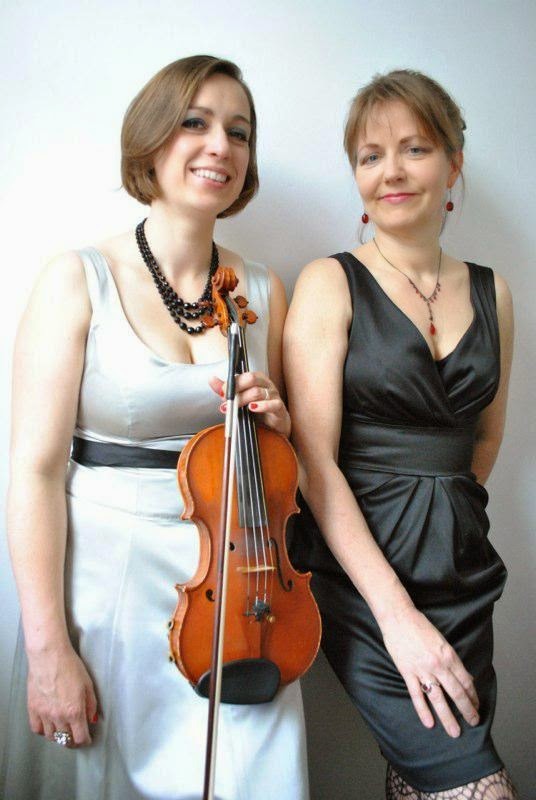 The series opens on Thursday 25 September 2014, at 7.30pm with a recital from the Jacquin Trio, Jessie Grimes (clarinet), Kay Stephen (viola), and Charis Hanning (piano), in an intriguing programme of Schumann, Kurtag, Copland and Mozart, including Kurtag's Hommage a R. Schumann. 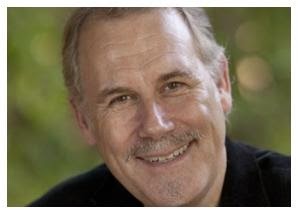 Then on Thursday 9 October, baritone Dominic Sedgwick and Nigel Foster, piano, are performing songs by Joseph Marx, Ivor Gurney, John Ireland, RVW, Daniel Gillingwater and Richard Strauss. 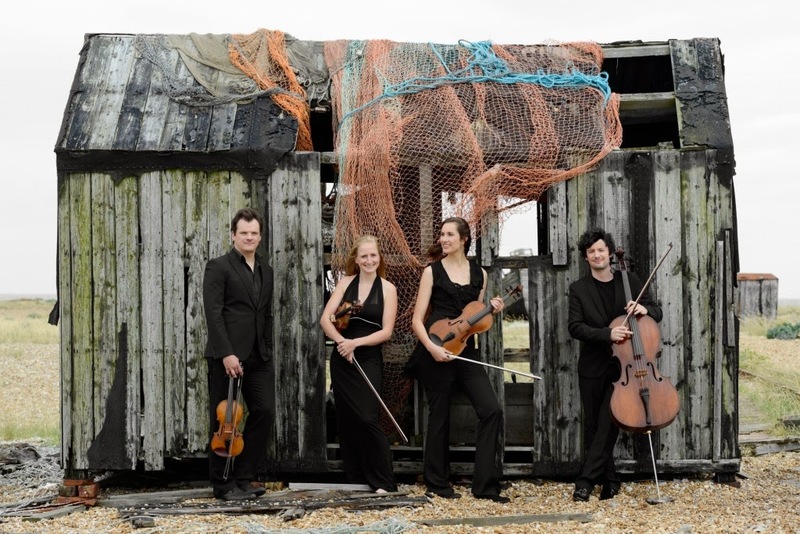 Finally, the Bernadel Quartet, William Melvin and Cassandra Hamilton (violin), Richard Waters (viola) and Abigail Hyde-Smith (cello) performs quartets by Haydn Shostakovich and Beethoven on 23 October. Tickets are available from the box office of Cadogan Hall. 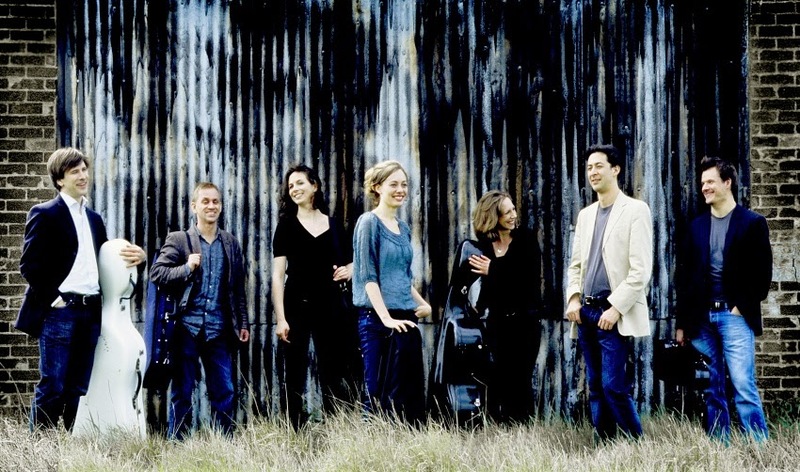 The Vasari Singers and Jeremy Backhouse have an enviable tradition of commissioning new music and on 17 October 2014 at St. Alban's Holborn, they will be giving the premiere of Under the Shadow of his Wing by Jonathan Rathbone. Rathbone is not, perhaps, a name that is immediately familiar, and if you know his name, then it might be in connection with the Swingle Singers with whom he was associated for 12 years. But, like many, Rathbone is classically trained and moves between various musical worlds. His new work takes its title from a line in the Compline service and the piece forms a type of vespers service, going from evening, through twilight to gloom. 85 minutes long, it was mean to be 60 but expanded in composition. The work is a sequence of settings of liturgical texts in English and Latin, including a complete Magnificat and Nunc Dimittis. It is written for two choirs and designed for a large acoustic and during the piece the choirs start behind the audience; Rathbone describes them as 'creeping out of the gloom'. Then during the work, they process around using the full space in the church; the score includes a detailed scheme of which choir should be where during the piece. Rathbone wants the audience to be surrounded by sound. Rathbone's intention is that the individual movements can all be use independently in the liturgy, and the Vasari Singers has already performed the Magnificat and Nunc Dimittis at Lincoln Cathedral. Rathbone say the style of the piece is deliberately very listenable and rather lush; he wants the audience to relax into their seat. He refers to the work's style as modern but nice, and says it is typical of his work now but admits that he has written more avant garde music in the past. Marco Schiavo studied at the Conservatory of Avellino and made his international debut in 1992. Sergio Marchegiani was born in Alessandria and gave his first solo recital at the age of 10. 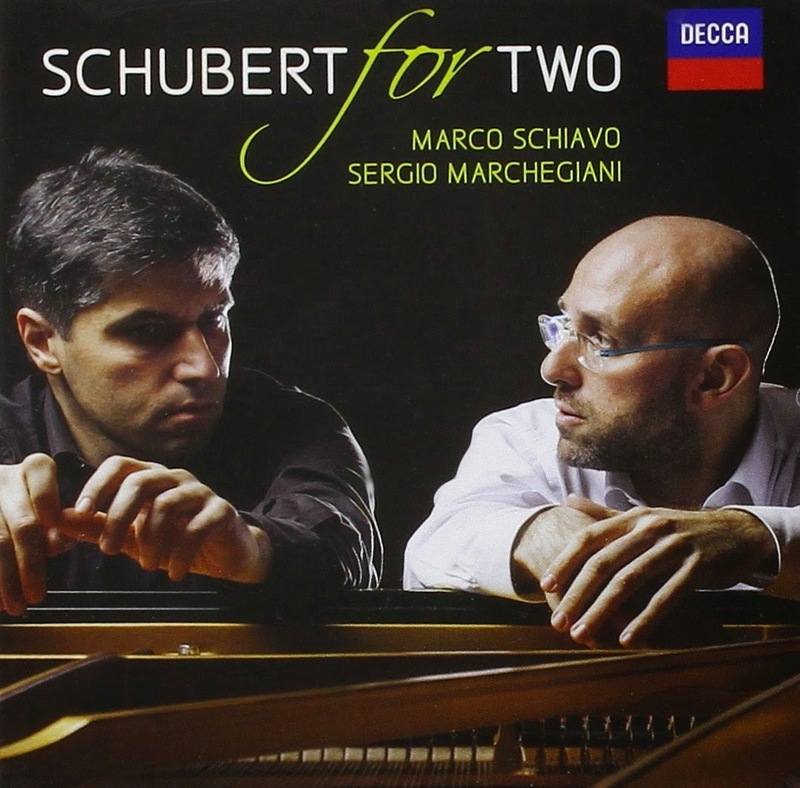 Here they join forces for Schubert's music for two pianists at one piano. Schubert wrote piano duets throughout his life. Partly this was because it was what everyone did, piano duets were part of life and a safe and friendly means of contact. Making the acquaintance of the pianist Joseph von Gahy in 1817 led to an increase in Schubert's interest in the genre. But Schubert's works for piano duet fall into a variety of characters, there are the social dances of course but also the works in which he seems to be working out interesting structural problems. The piano duet as a crucible for his developing talent. There are also works which seem to have been conceived in a bigger form; a work like Miriam's Siegesgesang for soprano, choir and piano duet seems to have grown out of his interest in the work of Handel and you can almost hear the orchestral music underneath. 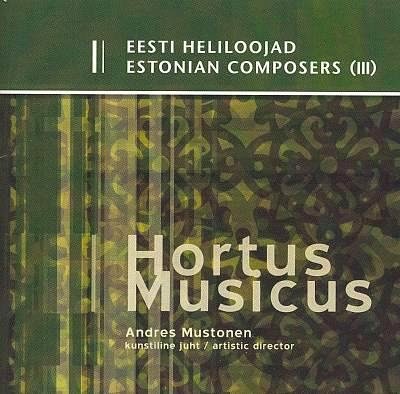 The Estonian ensemble Hortus Musicus was established in 1972 by Andres Mustonen, who studied violin at the Tallinn State Conservatory. They specialise in early music and have access to a range of weird and wonderful instruments such as shawm, shalmey, cromorn, rauschpfeiff and curtal as well as the more obvious violins, harpsichord, recorders and oboe which gives their music a distinctive sound. But they also perform works by 20th and 21st century composers and have had works written for them, for example by fellow Estonian Arvo Pärt (1935-). Mustonen continues as artistic director, conductor, and performer with the ensemble. Although not new (2003) this CD of music by Galina Grigorjeva (1962-) and Lepo Sumera (1950-2000) caught my eye because of a track by Sumera called 'The child of Dracula and Zombie'. This delightfully sad, shuffling dance makes good its dramatic promise. It is haunting and airy with a limping tune interspersed with air sounds which by half way have dissolved into haunting night-time cries and scary sliding strings. The tune then recurs, tight and controlled, with a straight rhythm and an urgency of going to war, as it builds up tension and dynamic with battle cries from the brass and aggressive percussion. After the climax, just when you think it must be over, the material from the start recurs and limps off into the next track. The good news is that Opera Holland Park is reviving its 2007 production of Montemezzi's L'amore dei tre re in 2015. Having wowed everyone in last year's Wolf-Ferrari rarity, Natalya Romaniw is returning in the Montemezzi. Montemezzi's opera had its premiere in 1913 and its success launched Montemezzi's career but the failure of his next opera La nave turned him away from operatic composition. Also being revived is the 2012 production of Puccini's Gianni Schicchi which will be joining new productions of Suor Angelica and Il tabarro to make a complete Il trittico, with Anne Sophie Duprels singing Giorgetta and Angela. There are three more new productions - Jonathan Dove's Flight, Leo Delibes' Lakme and Verdi's Aida. Flight was premiered by Glyndebourne in 1998 with a libretto by April de Angelis, initially on tour and then at the main festival in 1999. It is still, I think, Dove's best opera and was last seen in London in 2008 when British Youth Opera staged it. Delibes's Lakme is a slice of French orientalism that rarely makes the operatic stage nowadays. It was premiered in 1883 at the Opera Comique and the title role was one of Joan Sutherland's signature roles. It was last seen in London when Chelsea Opera Group gave the work in concert in 2002. As for Aida, well for all its popularity the opera is something of a graveyard. I have seen few if any non-traditional productions which work. Just about the only production that stays in the memory is the one David Prowse (I think) did for Opera North which was set in Egypt in the 19th century at the time of the Khedive. 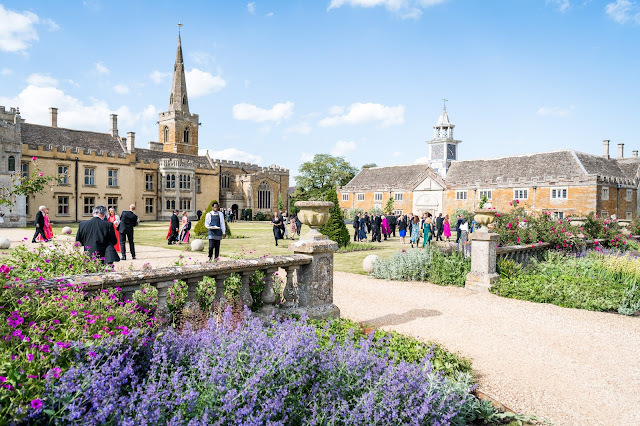 Opera Settecento (musical director Thomas Foster, artistic director Miranda Jackson) is a new company which has been set up to focus on Italian opera seria from the 18th century. 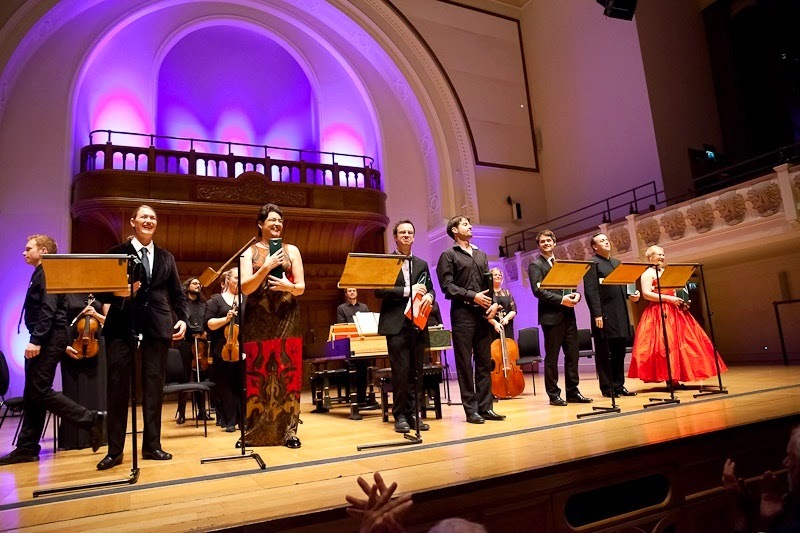 They launched themselves with a dazzling concert performance of Vivaldi's Griselda at Cadogan Hall on 18 September 2014. This showcased a new edition of the work which restored Vivaldi's original (and more difficult) first thoughts. 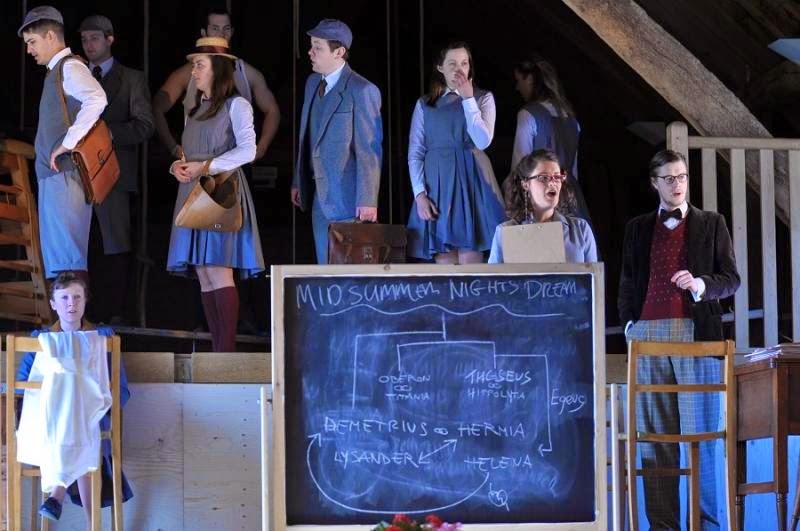 The cast was an interesting mix of youth and experience, with a cast including Ronan Busfield, Hilary Summers, Kiandra Howarth, Erica Eloff, Tom Verney, and Andrew Watts. Thomas Foster directed from the harpsichord. Vivaldi wrote Griselda in 1735 (when he was 57), for performance in Venice. At his request the title role was sung by his protegee Anna Giraud which means that the role of Griselda was written for a contralto and the character's arias are more simple and song-like (owing to Giraud's technical limitations). The remainder of the cast have the more complex pieces. The libretto was based on an older libretto but it was updated for Vivaldi by the young playwright, Goldoni. Goldoni would go on to have a distinguished career in the theatre as was as developing an important sequence of opera buffa with Galuppi. The libretto has rather an over reliance on simile arias (in act one alone we have a helmsman knowing the sea, someone buffeted by winds and a good hunter with a wild beast). 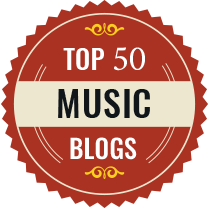 Henry Purcell wrote a considerable amount of music which does not find its way regularly onto the concert platform. Last night (17 September 2014) at the Wigmore Hall, Harry Christophers and the Sixteen gave us the opportunity to hear a fascinating selection of Purcell's music in a concert to launch the Wigmore Hall's two year series, Purcell: A Retrospective devised by John Gilhooly, which will be celebrating all aspects of the composer's career. The centrepiece of Wednesday's concert was Purcell's music for The Indian Queen, a semi-opera premiered during the last year of his life. This was joined by music by Daniel Purcell, The Mask of Hymen which was written for The Indian Queen after Purcell's death. To round things out we had one of the Welcome Odes written for King Charles II, Swifter. Isis, Swifter Flow, plus O dive custos Auriacae domus written after the death of Purcell's great patron Queen Mary, and one of the composer's less ribald catches. One of the problems with Purcell's music is that much of it is not written for symphonic forces, he requires a flexible instrumental ensemble and group of singers. The Sixteen fielded a vocal ensemble of eight singers, two sopranos, three tenors and three basses, with the alto line being sung presumably as a high tenor part. All of the singers took solos within the evening, as well as singing in the ensembles, requiring a degree of versatility and bravura. They were accompanied by a small instrumental ensemble of 16 players with oboes doubling recorders and continuo provided from organ, harpsichord, cello, harp and theorbo. Both Sir James Galway and Sir Neville Marriner were honoured with special awards at last night's (17 September 2014) Gramophone Awards at St John's Smith Square. Sir James Galway was presented with a Lifetime Achievement Award whilst Sir Neville Marriner received on Outstanding Achievement Award. Others honoured included violinist Leonidas Kavakos who received the Artist of the Year Award, Label of the Year went to Delphian Records and the Nightingale String Quartet received the Young Artist of the Year Award. 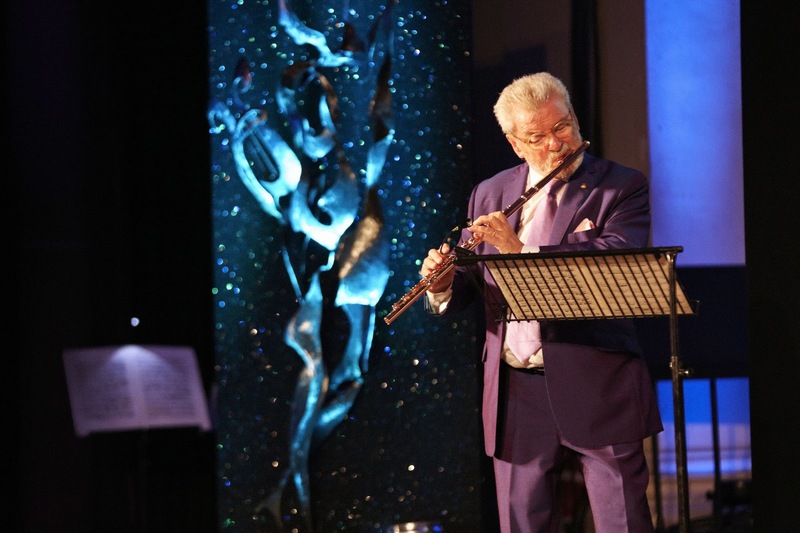 Sir James Galway's award celebrated a 50 year career which has taken him from the Berlin Philharmonic Orchestra to the Val Doonican Show, and lots of places in between; a serious orchestral musician as well as a popular star, not only topping the pop charts but also selling over 30 million discs worldwide. And one of the few flautists to do so. 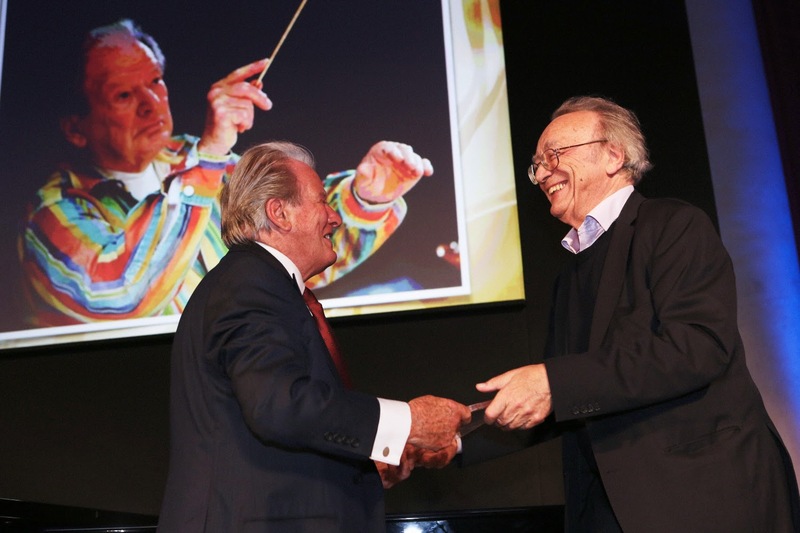 Sir Neville Marriner, who celebrated his 90th birthday this year, received an award which reflected his amazing achievement both with the Academy of St Martin in the Fields and elsewhere. Perhaps the fact that he received an award for outstanding achievement rather than lifetime reflects the fact that he is still on the podium and recently said in an interview that he would be happy to die in harness. Marriner conducts a concert of music by Howard Blake with the Academy of St Martin in the Fields on 25 November 2014. The Label of the Year went to the enterprising and lively Scottish label Delphian Records which was founded by Paul Baxter. The Young Artist of the Year Award went to the young, all female, Danish string quartet the Nightingale String Quartet. They are the first string quartet ever to win the Young Artist of the Year Award. Leonidas Kavakos first won a Gramophone Award 23 years ago. 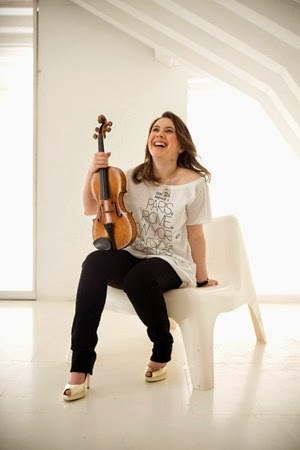 The Artist of the Year Award is made by public vote, and honours a violinst whose recent recordings have included the Brahms Violin Concerto, Beethoven violin sonatas and the three Brahms sonatas, all on Decca. Recording of the year went to Riccardo Chailly and the Gewandhausorchester Leipzig’s for their monumental cycle of Brahms’s four symphonies. The Gewandhausorchester Leipzig, the world’s oldest orchestra, cherishes its historical ties to Brahms. The composer himself conducted the orchestra for the Leipzig premieres of his first, second and third symphonies. You can read all the original reviews from the Gramophone in a special download, and the magazine's awards issue is available from today. 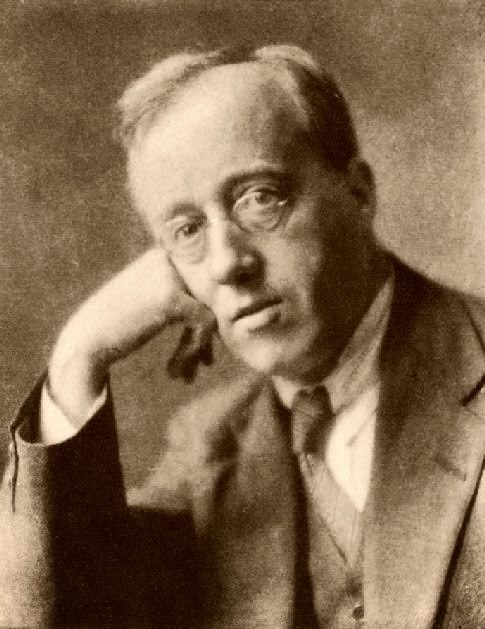 Gustav Holst was fascinated by Indian literature and philosophy and taught himself Sanskrit so that he could improve the English translations which he used for his works based on Indian literature. He wrote four sets of Choral Hymns from the Rig Veda as well as an opera, Savitri based on a story from the Mahabharata. I remember seeing a staging of Savitri at Scottish Opera in the 1970's with Janet Baker and John Shirley Quirk; despite its short length (30 mins) the opera made a very strong impression. Savitri forms the centrepiece of an all-Holst concert being given in Oxford on 27 September 2014 at St John the Evangelist Church, Iffley Road, Oxford, OX4 1EH. 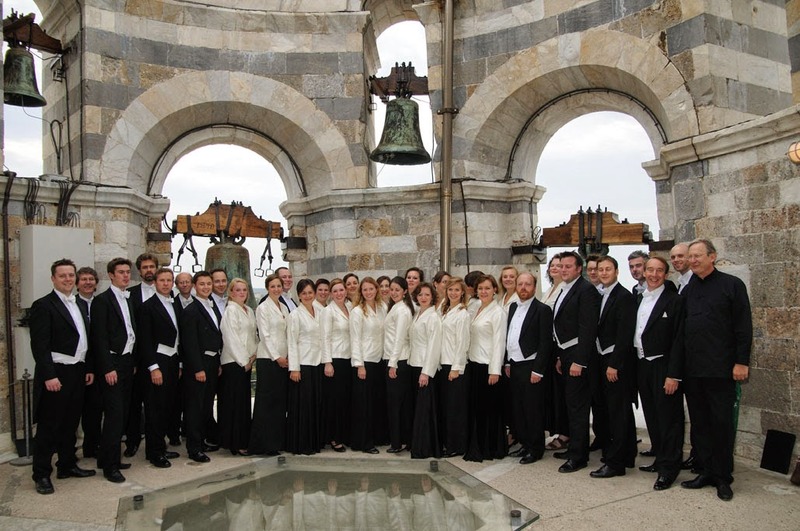 Choros Chamber Choir and Corona Strings, conducted by Janet Lince, will be performing the second and third of Holst's Choral Hymns from the Rig Veda, his Fugal Concerto and Savitri. Savitri will be fully staged, directed by Nina Brazier with Yvonne Howard in the title role, plus tenor Mark Chaundy as her husband Satyavan and bass Matthew Hargreaves as Death. The 17th century French composer Etienne Moulinie was a name new to be. 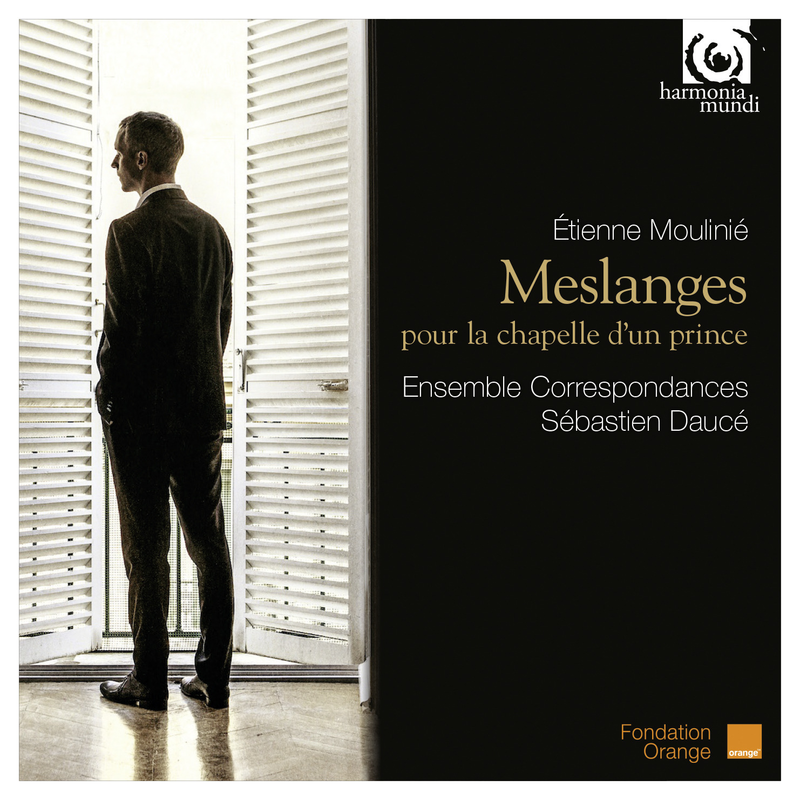 Best known, perhaps, for his secular music this new disc from Sebastien Dauce and Ensemble Correspondances on Harmonia Mundi showcases Moulinie's sacred music. The disc's title comes from Moulinie's 1658 publication which supplies most of the music on the disc. The publication, designed to showcase Moulinie's sacred music, contained works that Moulinie had written during his career as the Chef du Musique to Monsieur, the brother of King Louis XIII of France. Moulinie worked for Gaston d'Orleans, Monsieur, for 30 years and the music on this disc reflects the establishment at Gaston's court. From 1627, when Moulinie first worked for Gaston, the musical establishment surrounding the prince included two choirboys and eight adult singers (two on each part for dessus, hautes-contres, haute-tailles, basse-tailles, basses) plus a gambist and a lutenist. From 1650 until Gaston's death the establishment was reduced with just one singer per part and a woman on the top line. Of course, on grand occasions these forces were expanded. Moulinie provided music for both entertainments and for devotions, as well as teaching Gaston's daughter La Grande Mademoiselle. Gaston's life was not without incident and he had a tendency to get involved in politics and rebellion, but Moulinie stayed with him including when Gaston was retired permanently in 1652 on the orders of Louis XIV. Nicholas Hytner's production of Handel's Xerxes (Serse) at English National Opera (ENO) is nearly 30 years old, and is the oldest production in ENO's stable. 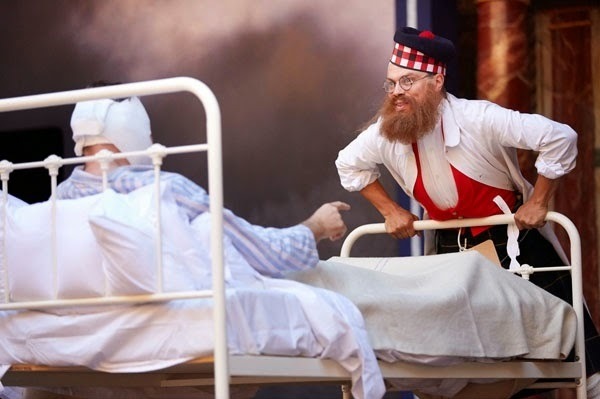 Receiving possibly its 8th revival on 15 September 2014, revival director Michael Walling, the production is looking as fresh as ever with David Fielding's designs still bright and crisp. ENO fielded a strong cast mixing experienced singers and newcomers. Mezzo-soprano Alice Coote sang the title role; an experienced Handelian this was her role debut. Having sung Atalanta in the last revival of the production (in 2002) Sarah Tynan moved onto sing Romilda, the more serious dramatic of the two soprano roles. The soubrette role of Atalanta was sung by Harewood Young Artist Rhian Lois, whilst another Harewood Young Artist, Catherine Young sang Amastris. Counter-tenor Andrew Watts sang Arsamenes, with Neal Davies as Ariodates and Adrian Powter as Elviro. Michael Hofstetter conducted.